Every long term road warrior is familiar with the numerous free campsites that abound out west, the ability to freely and openly camp in Wal-Mart parking lots, and of course the plentiful paid campsites in our Nation’s most cherished National Parks and public lands. But one perhaps underutilized resource of the vagabonding traveling are the now ubiquitous casinos that can be found scattered everywhere there are Native American tribes and other gambling institutions. 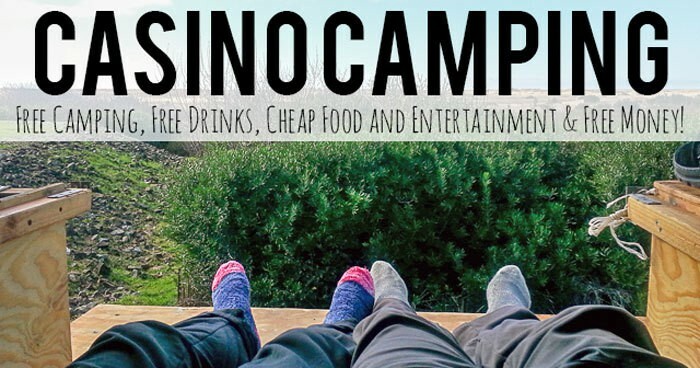 Yes, casino camping is a real thing, and it’s also really quite awesome. I’ve really gotten familiar with the casino camping life in my most recent adventures and I really think they are a valuable resource for other long term travels. Casinos, of course, are designed to take your money. The House always wins. But the savvy traveler can also “take” the casino for what they offer. I’ve been to dozens of casinos recently (in Washington, Oregon, California, Nevada, and Colorado) and they each offer differing levels of benefits to those stopping in. Sometimes you need to break up long distance drives between your destinations. My previous go to was always Wal-Mart parking lots, but increasingly I choose to go to a casino if the opportunity presents itself. Across the country, from Vegas to the smallest tribal casinos, virtually all of them welcome dry boondocking, IE sleeping in your vehicle, whether you are an RV, truck camper, or van. It doesn’t even matter that they many of these same casinos also have a hotel, they still welcome campers. Casino locations are varied, some are big and bustling near major urban areas, while others are small and secluded. A real casino camping spot. Just a short walk to the Pacific Ocean. I love Quinault Beach Resort and Casino. The protocol is different for each casino as well, some have special lots beside or behind the casino where they welcome overnight stays, some are just in the main parking lots. Most are hassle free stays, although every once in a while they ask that you visit the main desk and get a special piece of paper to put in your window or on your rearview mirror, and they also take down your plate. 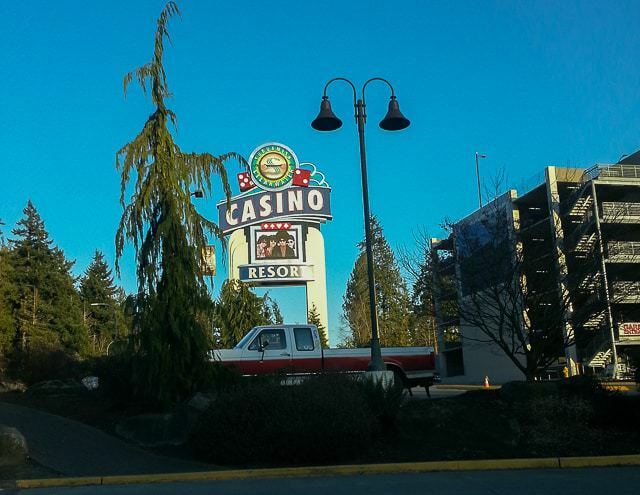 One of my favorite casino camping experiences was staying steps from the beach in Ocean Shores, Washington at the Quinault Resort and Casino. It’s a beautiful area in and of itself, right beside the ocean, while also acting as a great springboard to Olympic National Park and all that it has to offer. Another aspect of casino camping that can’t be overlooked is that they are usually all open 24/7, and also offer access to bathrooms and running water. Obviously the primary purpose of casinos is to draw you in to take your money. In order to draw people in, they offer a great deal of entertainment and amenities beyond the slot machines and table games. Any moderately sized casino will have (free) live music and cover bands coming in on Friday and Saturday nights. Depending on the size of the casino, they also frequently have entertainment on some weekday nights as well. One of the many, many tribal casinos across the American West. I say cheap entertainment, because while the show may be free you’ll probably want or need to buy something from the bar to sit there and enjoy the music. After some time traveling and on the road, it can be really great to stop in and enjoy some music and spend an evening out enjoying some of the casino’s amenities without breaking the bank. Most tribal casinos offer cheap drinks to go along with the entertainment. Speaking of drinks, virtually every tribal casino offers unfettered access to free coffee and sodas. Go in and get your absolute fill without worry while you play the slots. If you’re in the casinos of Reno or Las Vegas, they don’t typically offer free, unfettered access to coffee and soda, but instead offer free alcoholic beverages from beers to cocktails by a server if you are on the floor gambling. You can stick a dollar in the machine and slowly watch it diminish as you sip a free cocktail (though you should tip a dollar). $2 for a cheap drink isn’t bad. But being in one of these big gambling tons is great not for the gambling but because there are a ton of things to do in Las Vegas or just beyond — for example, I loved Red Rocks and Lake Mead. 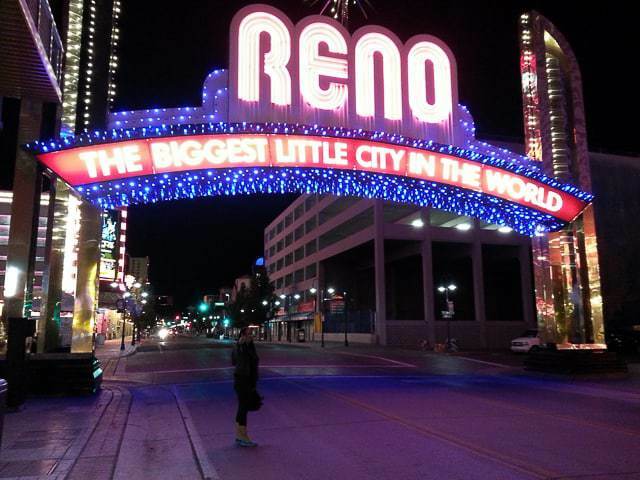 You can even get cheap and free things in the big gambling cities like Reno and Las Vegas. If you’re truck camping, it is generally frowned upon in any business parking lot to be out there cooking breakfast on your tailgate. So one thing that I love about casinos is that many of them offer ridiculously cheap breakfasts in the morning to draw in the people. At the Kla-Mo-Ya Casino outside of Crater Lake National Park we spent the night while passing through and then enjoyed a BIG breakfast for less than $2 each, along with free coffee. I was blown away. That’s been the cheapest breakfast I’ve come across in my travels, but we’ve picked up others for between $3 and $5 which is really good for a plate that would otherwise cost $8 or $9 in a normal diner. Plus you can usually find a pretty decent restaurant for lunch or even a good buffet at most casinos, if that’s your style. This is one of the craziest aspects to me… They will actually pay you to come into the casino, at least for the first time. If you visit the members rewards club at each casino you can offer up your ID and sign up for a player’s card. These cards are meant to give you perks and benefits for repeatedly using them (and losing money). But to start you off on the slippery road to losing all your money, most all the tribal casinos will offer up some free play money. Generally $5 to $10 that you can use in the slot machines, but that money doesn’t apply to table games, of course. There are different approaches to the same idea, some will actually just give you a slip of paper that you can go redeem at the cashier window for $5 (either cold card cash or a slot ticket) that you can plunk down into the machine (or just take it and go). Had to put in a dollar to play, but walked away with $14 in winnings from free play. Others offer up a promotional credit that you cannot cash out but have to play down (you can keep the winnings from what you play though). While my favorite is the free play where you have to put in a dollar and whatever you bet gets reimbursed by the machine for each play–thus you can watch the winnings pile up instead of the up and down that you’d normally see with slot machines. Of course if you are just playing with $5 or $10 and betting .10 cents per pull, you aren’t going to win much in the end. Normally about $5 or $7 if you don’t play it all off which is at least enough to get yourself a free meal, but I have walked away with as much as $14 from my free play. Without even risking ANY of my own money. Awesome. 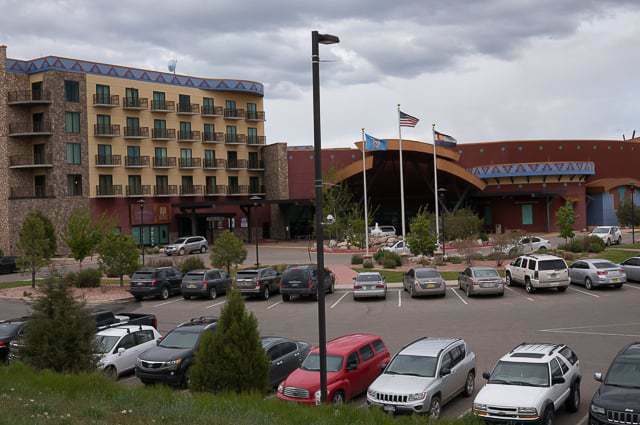 Here’s a real example: we stopped by the Ute Mountain Casino on the Colorado side of the Four Corners. We picked up a player’s card with $10 in free slot play, grabbed some free coffee and popcorn (that was a first!) and managed to walk away with $13 in our pockets. They’ve also got a great deal on breakfast at only $2. It’s another great location, not too far from Mesa Verde National Park and centrally located among all the awesomeness of the Four Corners area. So let’s wrap this up. You can find free camping at casinos, free live entertainment with all you can drink soda or coffee, a cheap breakfast in the morning, and you can actually even make a bit of money? Casino camping is a great, great resource for the perpetual nomad or those traveling through the American West. I think you’ll find it worthwhile. The only real downside is the generally smokey interiors that will permeate your clothes. The Sky Ute Casino in Southwestern Colorado. 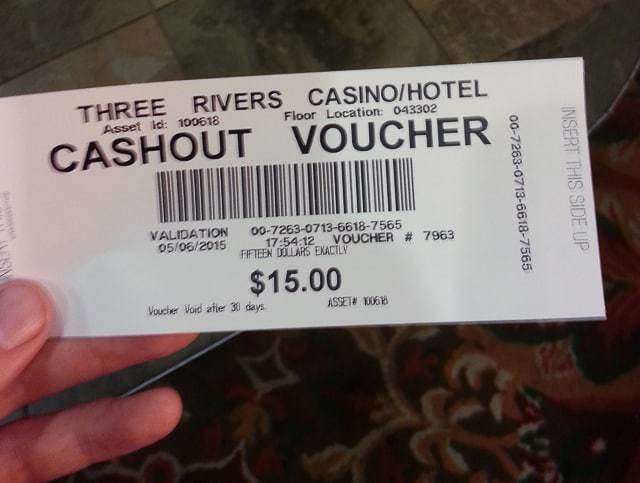 Some may say this is taking advantage of the hospitality of casinos… But I don’t really feel bad about a free night of camping, free drinks, and a maybe walking away with a few dollars from the money they give you to play. These casinos make millions of dollars off of people hoping to strike it rich. 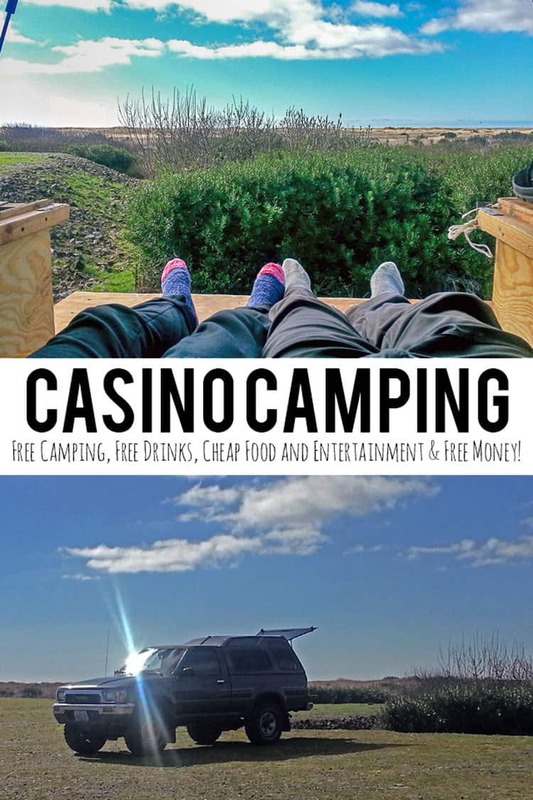 In any case, I hope you’ll take a look at casino camping on your next big adventure. 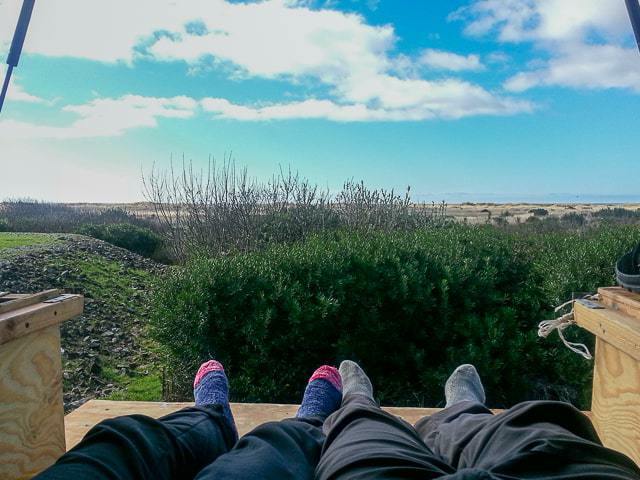 It can break up the monotony of some other free camping options and provide opportunities to camp in places where there might not otherwise be options. Have you ever been casino camping? Let’s hear about your experiences in the comments below! FreeCampsites.net – my go-to resource for finding free camping options all over the country. CasinoCamper.com – reviews of free overnight camping from an RVers perspective. Can be useful! Truck Camping – I’m always truck camping at these casino parking lots. All about how to get started with truck camping. Thank You for the useful article. We will be traveling through the west of USA this August/September in a rental truck. I am assuming we can park our truck up in any RV site/ park? I don’t want to get over there and find out the RV parks wont accept us. Great article. Thanks for letting me know about it. Now I have to head down the rabbit hole and read your piece about truck camping! Can you take kids in for breakfast? It may differ from place to place, but usually they are allowed in the non-gaming areas of a casino. I’ve seen many families stop in at restaurants or buffets in various casinos. I had no idea that this was an option! And the money you save on breakfast is enough draw on its own. Thanks for writing this guide! What an interesting concept! Casinos are a lot more entertaining than the grocery store, right? Great resource. I live in Cali and have long dreamed of simply driving out. Takin advantage of the Casinos is a great idea. After all they generally bloodsuck your money away! Great article! I love your ingenuity!